Aside from the numerous relaxing vacation spots in areas such as Sydney and the Highlands, the Central Coast is known to be one of the areas every tourist should consider. From Sydney, it will take around 90 minutes to reach the Central Coast, and the region is comprised of various town centers since it is a wide suburban area. The most famous part of the Central Coast is the Gosford District. This is because the place can easily be accessed due to its highly developed infrastructures including the rail station that is situated on the regional Sydney to Newcastle train line. Aside from this, one of the most highly celebrated spots that give you the best Central Coast holiday getaway experience is the Terrigal Beach. Tourists flock to the area to have activities such as diving and surfing in which they can feel comfortable due to the extensive classy accommodation and various world-class restaurants. Aside from the above-mentioned spots, there are more to Central Coast that you should check that will be perfect for your family Picnic vacation. These areas are pretty relaxing with the appealing and picturesque views, filled only with the right number of crowds. 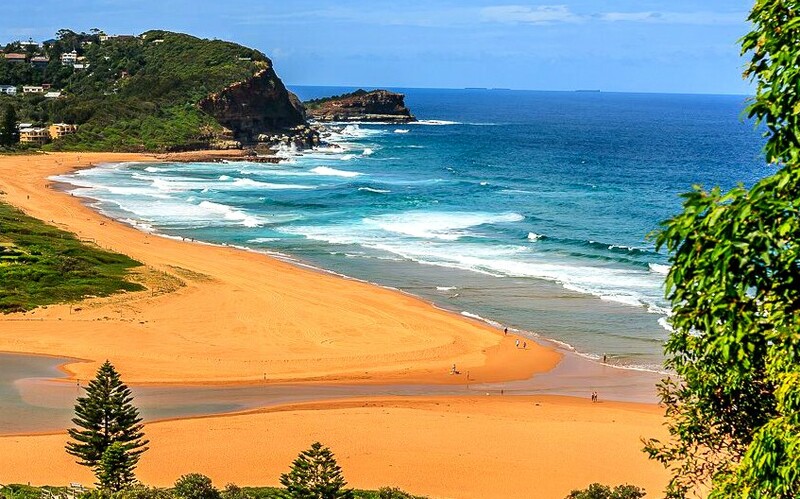 The Terrigal Haven is not only an ideal place to set your picnic but it is also considered one of the beautiful places on the Central Coast. The place can be enjoyed in every season but you can enjoy the beach at its finest during summer. This crowning jewel is a coastal landscape which is situated over the hills that is within the Terrigal Beach. Part of the entertaining features within the area are BBQs stalls that are displayed in public, filled with tables and seats for you to relax while enjoying the majestic scenery. The beach is pretty much suitable and enjoyable for children. They can either swim or do some snorkeling which enables them to observe the marine life below. The beach is pretty clear and calm of waves due to the fact that it is being situated by a headland making it a perfect place to release your stress compared to other beaches near the area. After your picnic session, if you are still up to it, there is a very beautiful walking path located on the headland. The spot was carefully planned to conveniently provide you access to iconic views within the area’s coastline. Lastly, you can also have some nice game of cricket within the area due to the sports oval within The Terrigal Haven. The Heazlett Park in Avoca Beach is a very enticing place to visit that is perfect for your friends or family to spend it. The park features an a la carte restaurant, boutique retail shops, a playground, various cafes and a rock pool. Moreover, the Avoca Picture Theatre will entertain you with classic shows that will make you reminisce the past and the latest award-winning movies. There is also a tennis court within the area which you can access to play a game. Another sporting activity within the area is boat paddling. This can be done specifically within Avoca Lake. Along the way, you will also be able to experience the Avoca Beachside Markets that happens every 4th Sunday from 9 am to 2 pm. Your stay at the market, as it is situated within the Park Foreshore against the Avoca Beach, will get you to experience the picturesque views that surround the area. Situated along the Avoca Drive, The Ross Park playground is a well fenced and shaded establishment that is very ideal for your whole family. Available within the park’s toy equipment section is a monkey bar and a play system that features a rope bridge. Furthermore, if you go beyond this area, you will be able to reach the mounted spring rider boat and together with two swing sets. While your kids are having the best time of their lives, you can go and visit the available equipment for fitness to get yourself busy. If you are looking for an ideal place that you could do Picnic, then the Bateau Bay is just right for you. The spot is protected by trees to shade you from the extensive heat of the sun to give you the best and most pleasant picnic experience. Always keep in mind to bring a towel because the beach will give you an irresistible temptation to take a dip in the water. If you are also into activities such as snorkeling and fishing, then this place is for you. Furthermore, there is something for everyone as your kids can enjoy the rock pools. Lastly, you can enjoy the pleasant view from the Crackneck lookout as you stroll around the coastal walking track. The Entrance is not only a perfect place for shopping but it also is a very worthy place for a picnic site. The place features various types of restaurants to widen your options and retail shops. However, you must also expect that in some seasons, especially during the summer holiday, you will have to proceed in advance to avoid falling into the waiting list. Regardless, The Entrance is certainly a place that is worthy of your wait. The site gives you numerous options for other tourist spots because it leads to other beautiful Central Coast Picnic Areas. These picnic areas provide you delicious fish and chips for your snack as you head out to see the overhead seagulls. Moreover, The Entrance’s waterfront is famous for its wide diversity of pelicans, to which you will have the fun time to feed. Somersby Falls is a widely celebrated tourist destination on the Central Coast. A vast number of tourists flock around the area to do Picnic because of the relaxing environment it gives. Available in the area are barbecue tables, various walking tracks and waterfalls all in a majestic rainforest. The Somersby Falls picnic spot is the best choice if you desire to escape the everyday stress of the busy city life. Have the best time of your life with your friends and family in a rainforest which provides the perfect nature experience while making you feel comfortable at home. Within the area, you will be given a wide range of options to deploy your picnic spot. You can choose to have it under the tall tree in the carpark edge for a shade or have it near the Floods Creek before the majestic descent over the cascades. Since there are unique birds available in the area, always keep in mind not to miss them. The list of the unique birds include a few brush turkeys that are waiting for you to feed them. The beach is situated on the Central Coast that offers you top-class Picnic spots. The area is a stunning beachfront that will be perfect for your relaxation enabling you to unwind from stress. The Umina Beach accommodation spots won’t disappoint you, in which you can bring your whole family for an awesome holiday experience. The Central Coast area is a place of convenience. Reaching these Picnic Areas is possible via a land trip. It is filled with public transport services including ferries, busways and city rails in case you don’t have a car. Check out the directory for the best-recommended businesses within the area now!